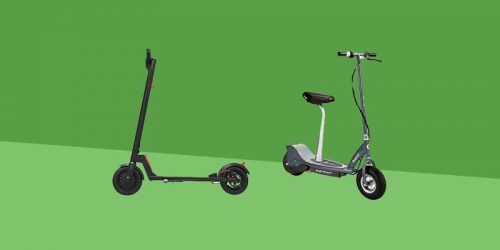 Electric scooters are becoming more and more popular due to their ease of use, practicality and all around fun. The Swagger and Swagger Pro are the first electric scooters from Swagtron, a company that has become well known for making electric forms of motorized transport. In our Swagtron Swagger review, we’ll take a look at everything you need to know about the Swagger and tell you exactly what we make of it. 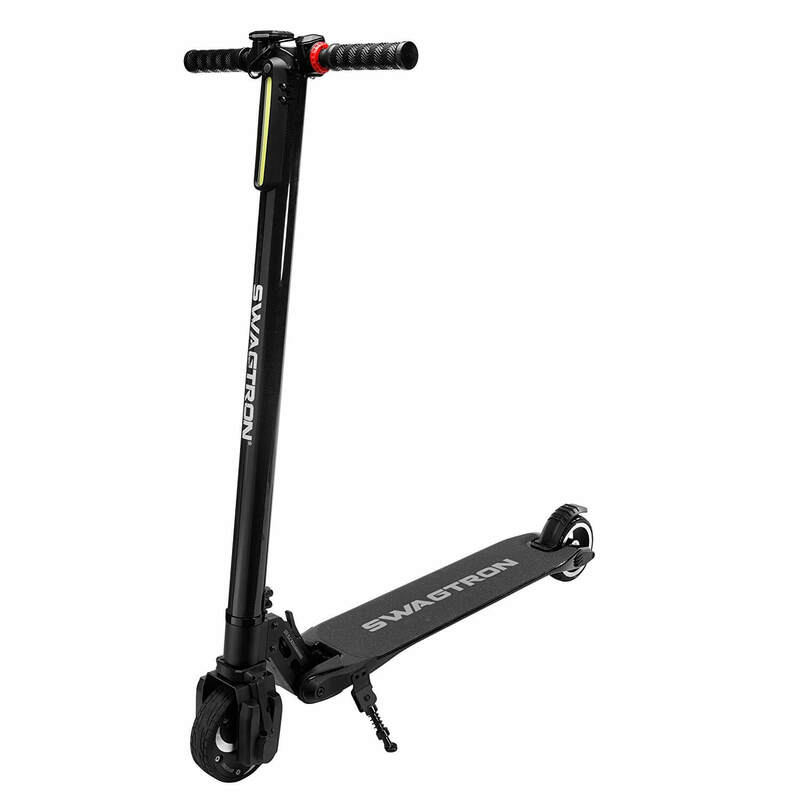 The Swagger by Swagtron is a great beginner scooter that looks good, is made well and has a decent top speed but suffers from a lower than expected range. 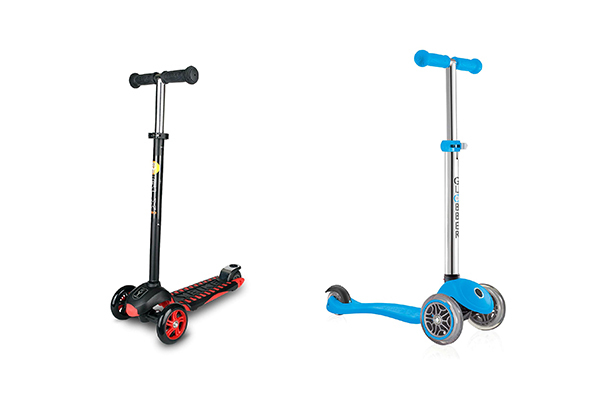 Despite the small problems, the Swagger and the Swagger Pro are great value for money and could be the ideal first electric scooter. One of the stand out features of the Swagger motorized scooter is that it is one of the lightest electric scooters in the world. 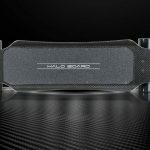 It uses a fully carbon fibre frame and comes in at just 17lbs. This means that it is very easy to carry around with you and lift up and down stairs. 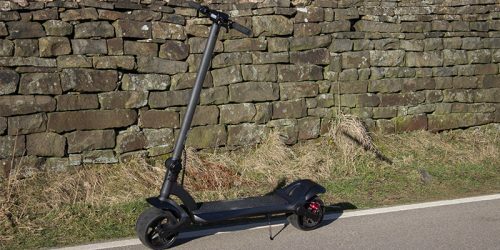 In addition to this the lightweight frame means that when you’re riding it you feel in control rather than the scooter sluggishly taking over. Building on the easy portability due to the light weight, the Swagger also features a nifty folding latch. This allows you to fold the Swagger up and carry it around even easier. Unlike some of the competition, the Swagger has two brakes. It has a traditional rear fender footbrake that you would see on any kick scooter. This can be used manually at any time, even when the scooter is turned off. But as it’s a powered scooter, it also has an electric E-ABS handbrake that’s very effective. There is also a very simple control system that makes using the Swagger easy to learn and operate. There is a push button throttle that lets you adjust your speed when riding and even a build in cruise control system. To help with this there is a small LCD screen mounted on the handlebars that displays the current speed, battery life and has a build in odometer. The Swagger can also be operated manually and doesn’t suffer from any drag from the motors when in manual use. 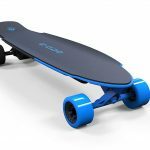 It has a non slip deck that is wide and sturdy. It also has a front LED headlight to help with vision at night. The general design of the Swagger is nothing new. It’s very similar to a standard kick scooter but with an electric motor and a few additional features mentioned above. It doesn’t look bad by any stretch of the imagination but it’s fairly safe. It does have a nice wide, non slip deck and fairly high handles so even people over 6ft can ride comfortably. The control system and the LED screen are probably the best designed parts of the whole system. They’re simple and effective. The only part of the design I don’t like it the rather brazen Swagtron logos on the deck and the frame. The build quality is good for the price. The carbon fibre is very nice, it adds a lot of strength and reduces the weight. However, there is limited suspension that doesn’t work very well at all. Also, the tires are made from a hard rubber, which does mean that you won’t be faced with inconvenient flat tires, but does reduce the riding comfort even further. This means you end up feeling almost every bump in the road, which is disappointing but at this price point it’s acceptable. The Swagger uses a 250W electric motor and a 3 gear system to reach maximum speeds of just over 15mph. Gear 1 will likely be the most efficent and has a rough range of 0 to 8 mph, gear 2 will take you up to 13 mph and gear 3 will go to 15 and above. Going up hills will depend on the incline and the weight of the user, but the Swagger performs better than expect here. Going down hills you’ll easily be able to go over 15 mph and eve hit 20 mph. 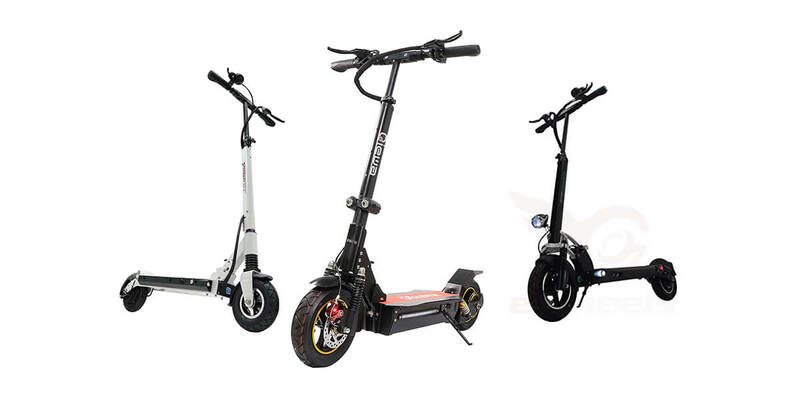 Swagtron claims that the Swagger has a maximum range of 15 miles. If you’re on level ground and don’t weigh much you may be able to get 15 miles out of it, but getting that much out of the battery probably isn’t likely in reality. It does, however, fully charge in just 1.5 hours, which is much better than a lot of its competition that can take over 4 hours for a fully charge. The battery is also fully UL2272 compliant, replaceable (through an unrecommended and complex process) and is said to last roughly 500 discharge cycles. We would recommend only ever charging the battery for the 1.5 hours that Swagtron recommends. The manual states that there is a Battery Management System but also has many charging warnings. We’d recommend taking care when charging and discharging the battery. Try not to overcharge or over discharge it as there isn’t much information on the battery available so it’s difficult to tell if the battery has a good protection system. 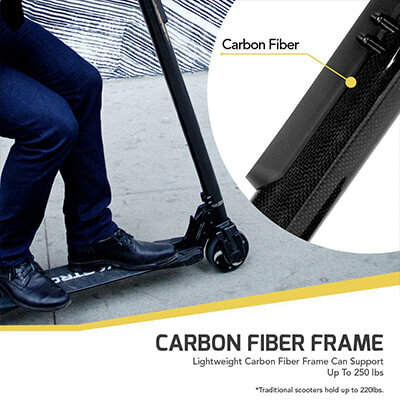 Perfect for commuting – The lightweight and portable frame and low cost makes it perfect for a cheap commuter scooter. In fact it’s this exact reason that it made it onto our list of the Best Electric Scooters for Commuting. 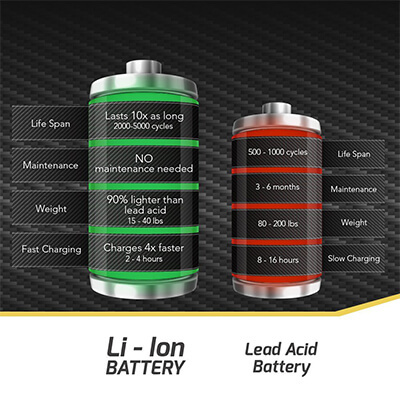 Fast charging battery – Having the battery charge in one and a half hours is incredibly convenient. 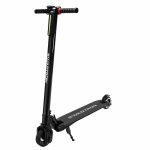 Arrives almost fully assembled – The only thing that you will need to do is to use the provided allen key to screw in the handles and attach the kickstand. Nice control system – The simple speed controls, handbrake and the LCD display provide all the information and control you need. Customer support – Swagtron have a US office based in Indiana. Lack of suspension – Despite the advertised front wheel suspension, the Swagger still suffers from a fairly bumpy ride. The wheels also don’t help with the comfort and overall after several miles it can become uncomfortable. The battery life – The advertised 15 miles of travel distance will very rarely be met. We think a more realistic value would be 8 miles on flat roads. 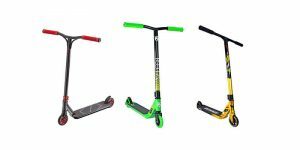 This is very dependant on how the e-scooter is ridden, the rider and the ambient conditions. 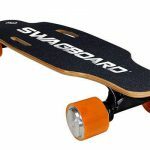 Swagtron logo – This is much more of a personal gripe, but I am not a fan of the large Swagtron logos on the deck and the frame. 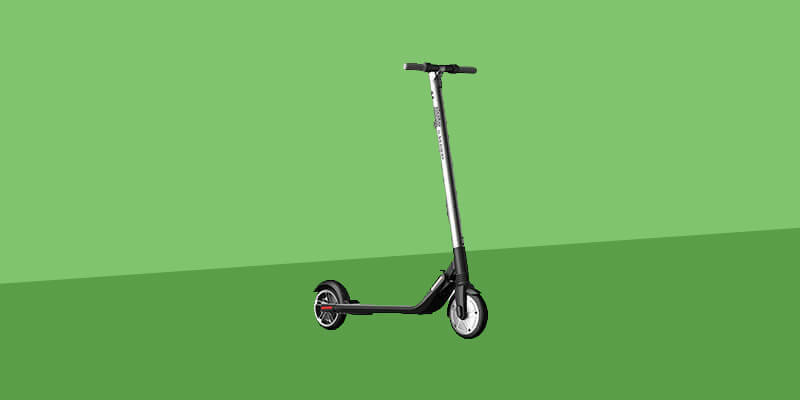 Overall, the Swagtron Swagger is a great place to start if you’re looking for an electric scooter. It’s lightweight and cheap with a quick charging battery that makes it perfect for commuting. It’s easy to use and can reach a good top speed which makes it a lot of fun. Despite a few negatives there isn’t much we can realistically complain about at this price point. So, if you’re looking for a cheap, fun and lightweight electric scooter then this might be just what you’re looking for.